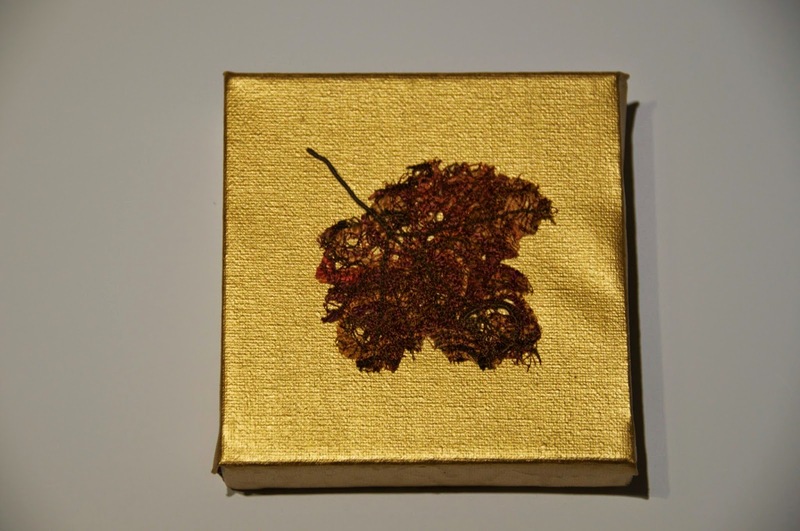 The Embroiderers' Guild of the ACT held their annual exhibition this week. I entered a few pieces that I've shown previously plus these two pieces. The first one is called "In Flanders Fields" and was my entry for the postcard challenge, which had the theme "Stitching Love and Hope". 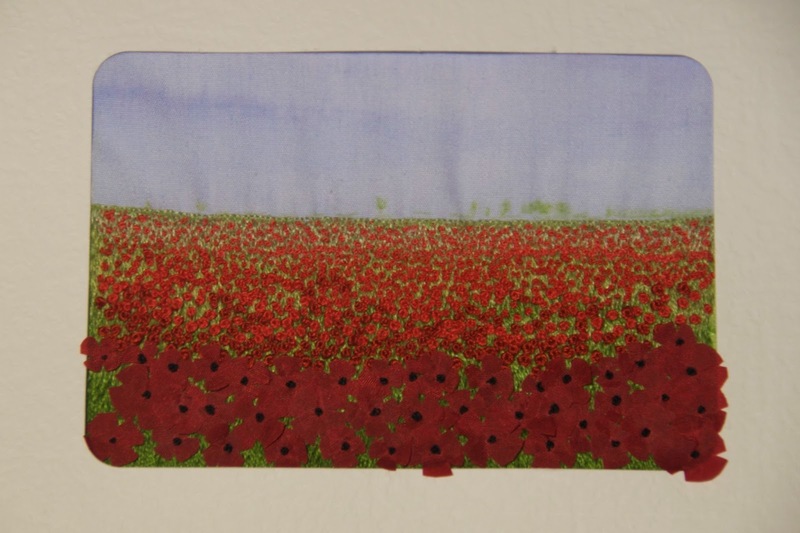 We were asked to re-interpret the silk postcards sent home by soldiers in France and Belgium during World War I. I'm really thrilled because my card won the viewer's choice prize. I also entered this leaf. Back in March, I finished an autumn embroidery, and I saved all the thread snippets, which I then put between two piece of solvy, machine-stitched over it, cut out the leaf shape on the Accuquilt Go Cutter, and then hand-stitched the veins and stem. Unfortunately, this isn't a very good photo but it gives the effect of a decaying autumn leaf. The postcard is beautiful and well deserving of being the Viewer's Choice, congratulations. I really like the leaf too and setting it onto the gold background was such a good idea.